Beginning with Homer’s Iliad, Davis lays out the tension within the soul of Achilles between immortality and life. He then turns to Aristotle’s De Anima and Nicomachean Ethics to explore the consequences of the problem of Achilles across the whole range of the soul’s activity. 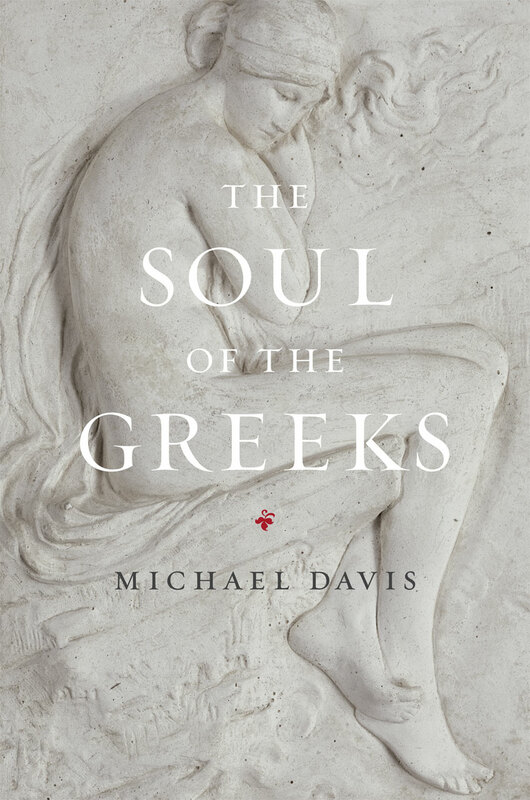 Moving to Herodotus and Euripides, Davis considers the former’s portrayal of the two extremes of culture—one rooted in stability and tradition, the other in freedom and motion—and explores how they mark the limits of character. Davis then shows how Helen and Iphigeneia among the Taurians serve to provide dramatic examples of Herodotus’s extreme cultures and their consequences for the soul. The book returns to philosophy in the final part, plumbing several Platonic dialogues—the Republic, Cleitophon, Hipparchus, Phaedrus, Euthyphro, and Symposium—to understand the soul’s imperfection in relation to law, justice, tyranny, eros, the gods, and philosophy itself. Davis concludes with Plato’s presentation of the soul of Socrates as self-aware and nontragic, even if it is necessarily alienated and divided against itself. The Soul of the Greeks thus begins with the imperfect soul as it is manifested in Achilles’ heroic, but tragic, longing and concludes with its nontragic and fuller philosophic expression in the soul of Socrates. But, far from being a historical survey, it is instead a brilliant meditation on what lies at the heart of being human.